Being a blogger is not easy. I basically use insta-stories as my own diary. Just to cover my days. Later, I like to reflect on how I spent my time. A few times, my intent is to inspire others in doing something constructive or to think about important issues in life. So my intent for using insta-stories was never to show off. While continuing my stories journey, as my audience started growing I started feeling too much pressure. Every single time I cook something, my Insta inbox is loaded with messages asking me for recipes of every single thing I cook or eat! Honestly, I didn’t sign up for this! I hope you understand it isn’t possible. I want the content of my blog to be authentic. I don’t want to forget why I came to the blogging world in the first place. I don’t want the content on my blog to be driven by what the analytics or demand is. That won’t be authentic marketing. I want to continue talking about important things in life like social issues and things I’m really passionate about, whether its appreciated or not. I would choose to talk about important values in life and not get any likes than talk about useless things and get thousands of likes. I also believe that no content can excel without having your heart and soul into it. Demand-driven content is bound to doom as it’s not driven by heart. But I want you guys to know that I’m only doing this because you asked. My heart isn’t in food! I want to make a difference in the world by talking about things which are important in life. I’m not here just to talk about food, clothing, fashion and makeup! I would hate myself if I did that! I’m sharing this recipe today which is a combination of the recipes we got from our mom and Nani. The basic masala is from my mom’s Fun Cook Book by Shireen Gheba Najib which you can buy from Ferozsons store Pakistan. 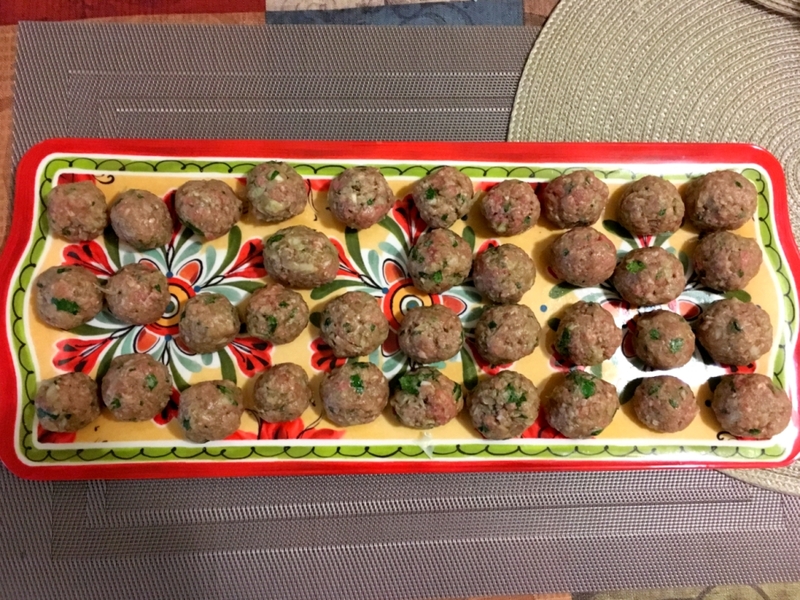 My Nani adopted the kofta recipe from Seemeen Rushdie’s Indian Cook book. Boil 4 eggs for 15-20 minutes so they’re full boiled. Cut in halves. Just take a mixing bowl and combine all the ingredients for koftas. Mix and make small balls. Place them on a tray and put them in the freezer once done (uncovered). 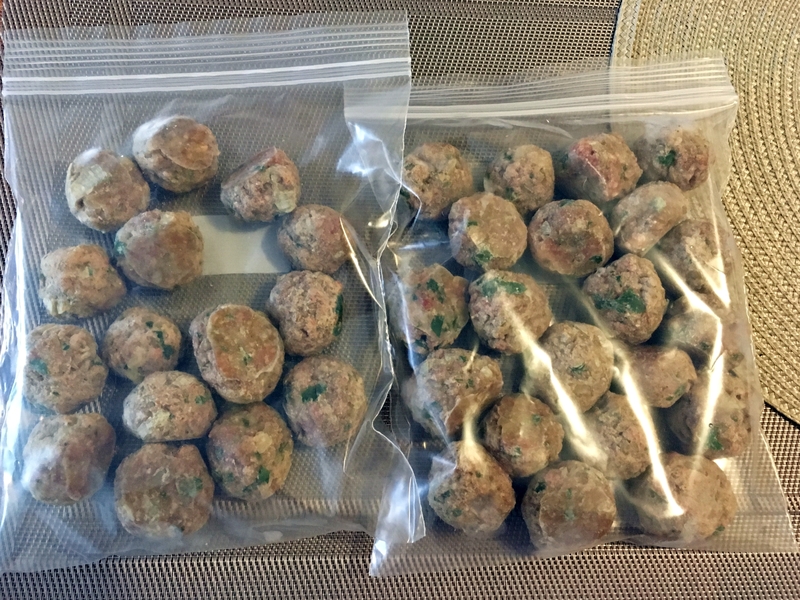 Next day take the tray out, twist the tray a bit (like you twist ice cube tray to get ice out) and then take all koftas off the tray and put them in freezer sealable bags and back in the freezer without the tray. Note: I make these in advance. Heat oil in frying pan. Fry onions till crisp and golden brown. Remove from frying pan onto paper to drain. Put fried onion into a blender, blend for a minute or till fully crushed. Add chopped garlic and ginger. Blend for another minute. Add tomatoes and blend till mixture is ready. Reheat 2 Tbsp oil used for frying onions, add cumin seeds and stir till colour changes slightly, but does not become too dark. Add the blended mixture. Stir well, add curry powder, turmeric, chilli powder and salt. Mix well. Add 2-3 Tbsp of water if needed. A delicious aroma will come as your stir. Now this masala is ready. Tip: You can use this masala for almost any Pakistani dish. After masala is ready, add frozen koftas. Let them simmer and cook for about 2 hours on low fire. 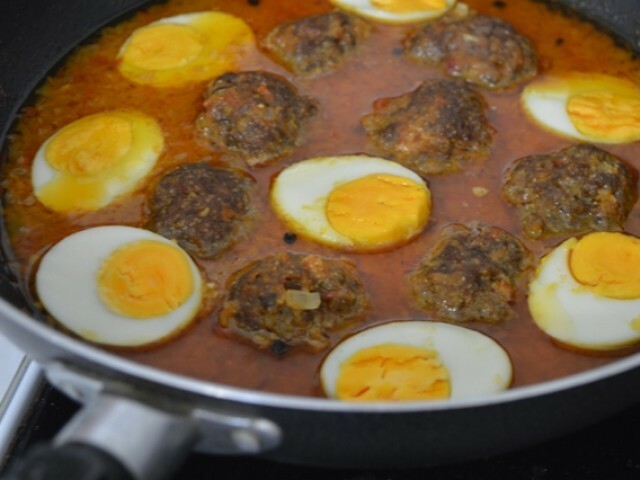 Cut boiled eggs in halves and add those in the salan. Add chopped coriander leaves and some garam masala before serving. Serve with naans and yogurt. Do try it and let me know what you think? 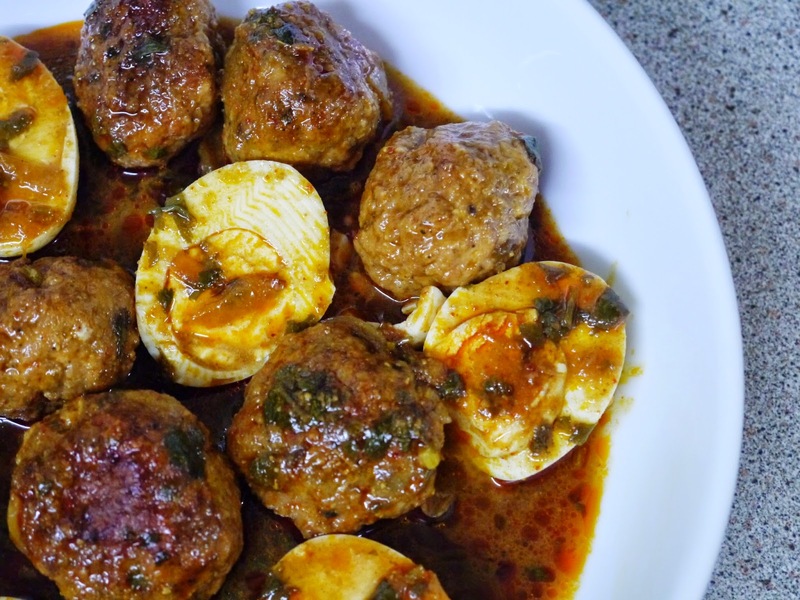 How do you like to make Kofta Anda?